This small dish garden full of beautiful plants makes anything but a small impression on whomever receives it. Perfect for home or office. 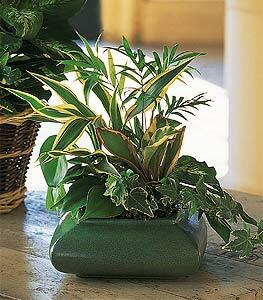 Dieffenbachia, ivy, palm and philodendron plants arrive in a decorative ceramic dish.